Rough winds and big choppy waves coming around the Keys and into the Gulf Stream last night kept many awake and few of us with a taste of sea sickness. We make port in Jacksonville tonight and take on the ROV and more scientists. While making the first leg of this voyage it has been good to get to meet most of the crew and learn what they do and where they work on the Pisces; these include NOAA engineers, electrical and computer technicians, deck crew, stewards, and the NOAA Core officers. Since this is a maiden voyage, many of these people have worked on other NOAA ships – bringing their expertise and skills to get the Pisces up and working smoothly. Many of this crew will stay with the Pisces – operating the ship for NOAA scientists who come aboard to run experiments or do research in the months to come. 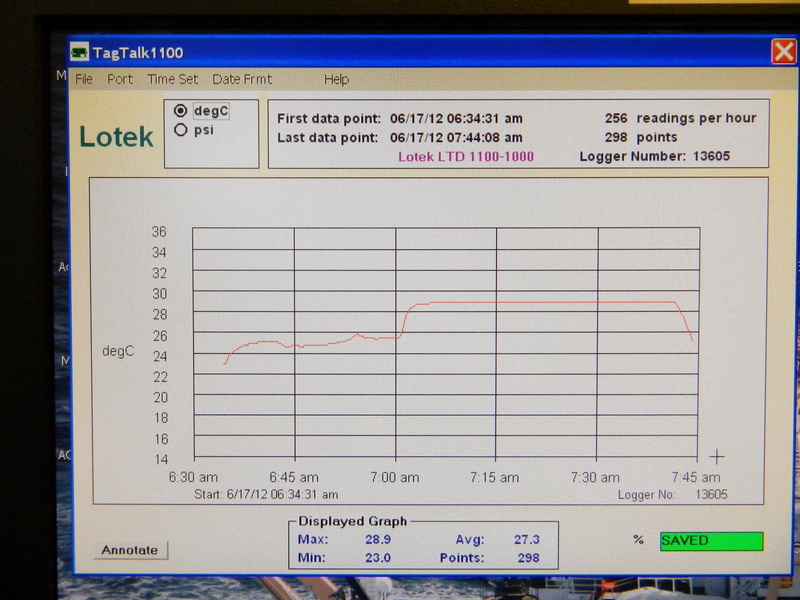 1) The EK60 Simrad Echo-Sounder: This piece of technology uses a devices called a transducers that are located on the bottom of the Pisces to detect organisms. 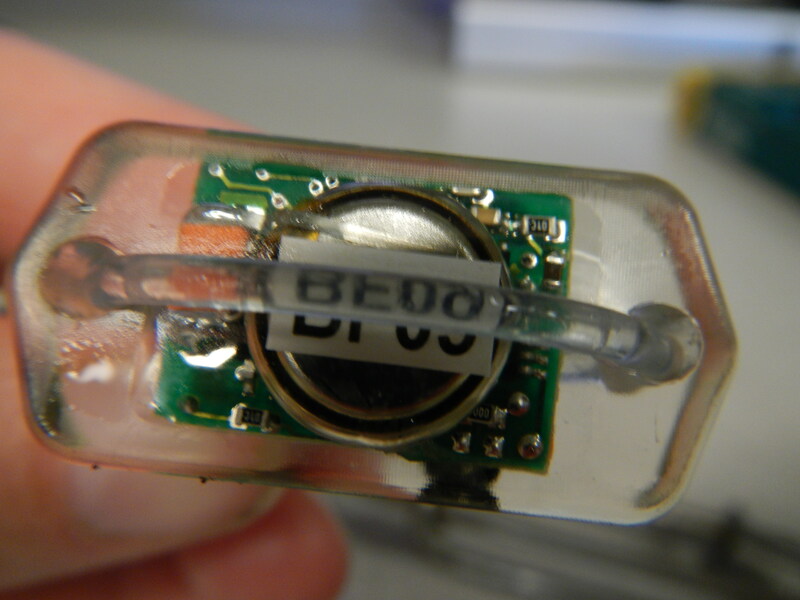 The Echo-Sounder operates on 4 frequencies – split beams of 200 and 120 khz (kilohertz) for shallow water detection – giving good data on zooplankton and small schools of fish, and the 18 and 38 khz frequencies which can detect fish, mammals and squid much deeper. The transducers issue a ping at each frequency every .5 seconds which bounce back creating a picture or vertical scatter. The scatter shown is a reflective signature – which the scientist use to identify what is below. 2) The ME70: The ME70 is brand new technology that uses a single high frequency – but based on amplitude reverberates from 80 transducers in a fan or swath -like shining a spot light down the water column. This gives another kind of visual image of what is below – especially the characteristics of the concentrations of zooplankton and nekton or schools of fish. 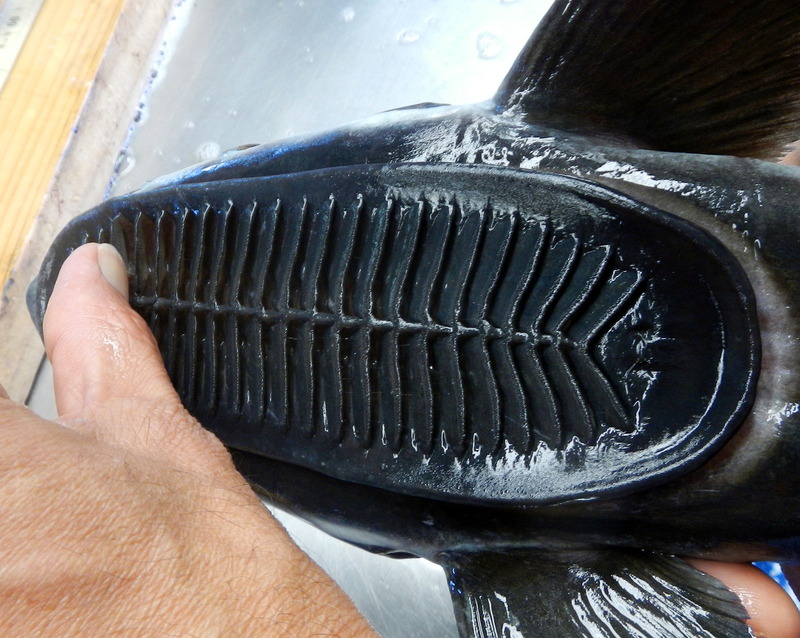 Tools and technology like this help scientists conduct surveys of marine species in deep and shallow waters, they can improve the way we estimate fish stocks – and the more it is used and tested can be a passive way to identify species in their habitats through their acoustic signatures. 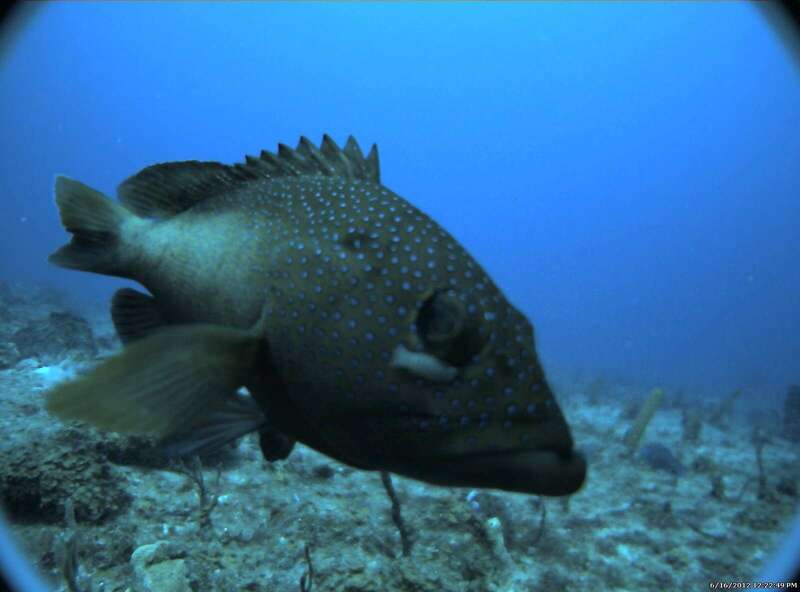 An interesting aspect of this technology is the growing study of “swarm behavior” – understanding why schools of fish glide in precise synchronous movement. This field of study is becoming more important as we learn that self-organizing coordinated systems like schools of fish are extremely resilient and efficient. Mammal studies conducted by Tony and Lance aboard the Pisces may have larger implications in the future when looking at the behavior of crowds, or traffic on a highway, or how people move in a work place. I arrived in Woods Hole Massachusetts at 10:30 pm and rolled my luggage up and down the main street trying to find the DELAWARE II. Following a not so encouraging conversation with a bus station security officer who said to me “The DELAWARE II never docks here”, I managed to indeed find the ship that would be home for the next 3 weeks. 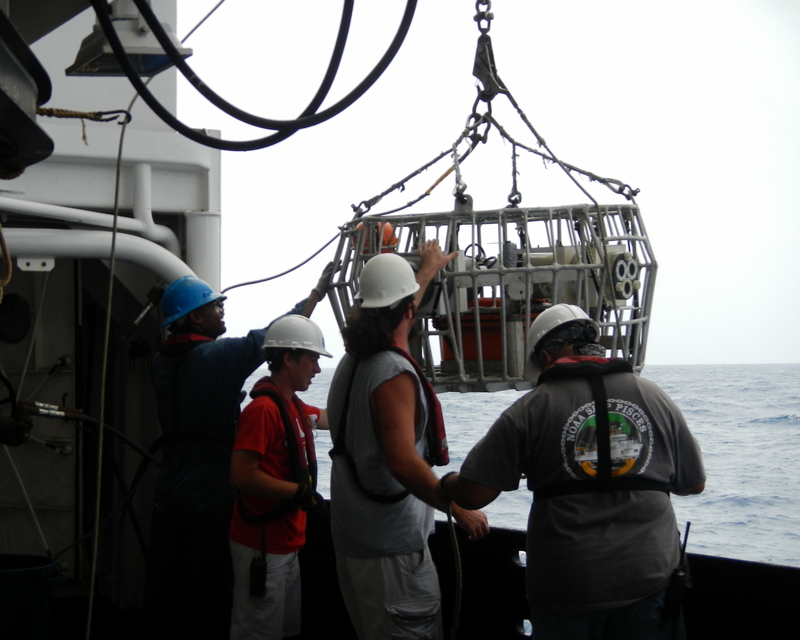 The Northeast Ecosystems Monitoring Survey monitors the Northeast continental shelf by assessing both its physical and biological aspects. 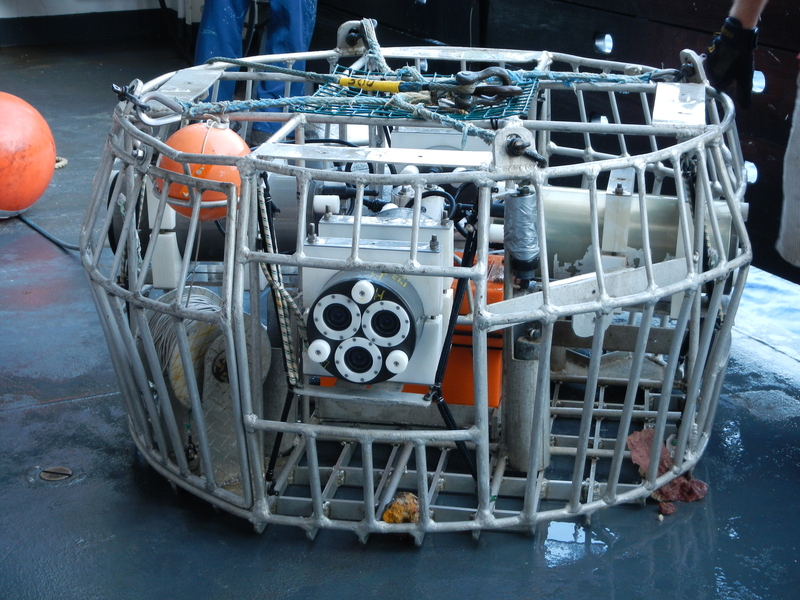 For example, one of the methodologies employed during this survey uses a set of Bongo tows which are designed to catch plankton, small fish fry, larvae, and other small invertebrates. These minuscule creatures are the foundations for most of the ocean’s food webs and therefore their populations are used to indicate and predict the overall health of the ecosystem. 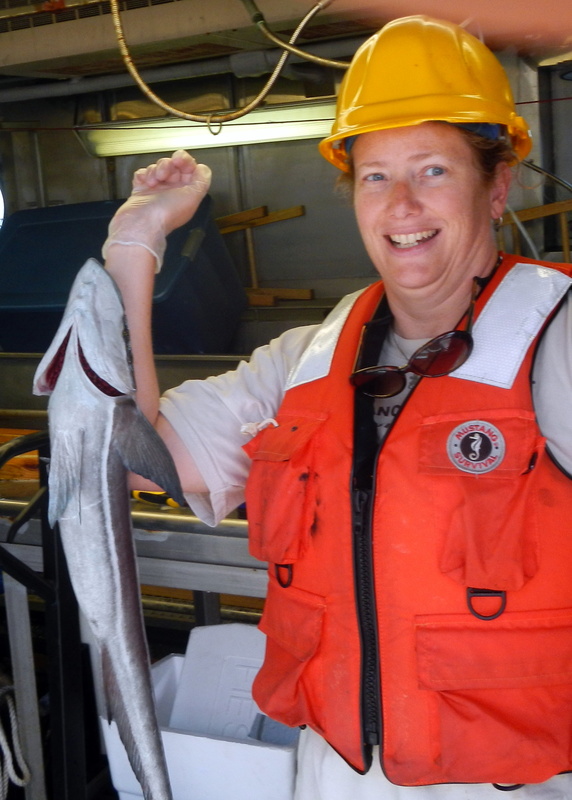 The Northwest survey is conducted on a repetitive basis so that these populations may be monitored over time, thus enabling researchers to monitor changes over time. 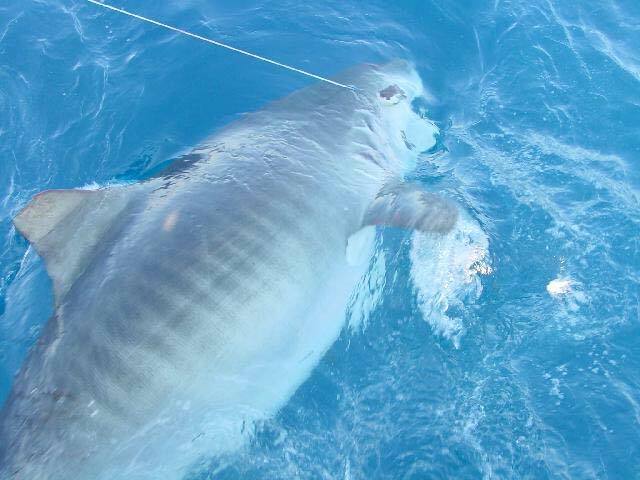 Apex Predator Survey is conducted every three years and is designed to assess the relative abundance, distribution, population structure, species composition, and to tag sharks so that migration patterns may be studied. 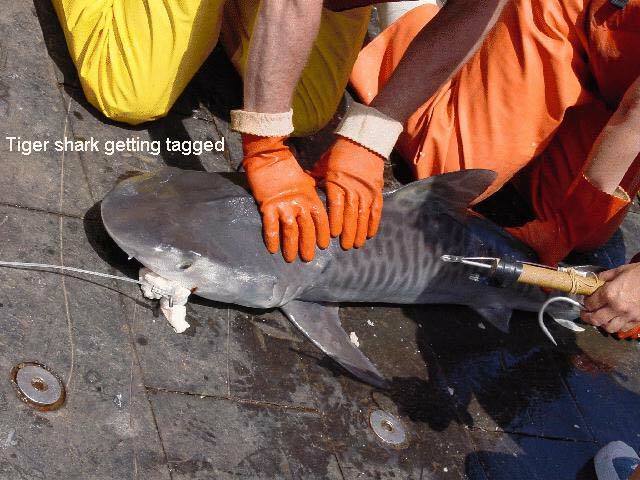 Sharks are captured via longlining and then released after tagging and biological samples have been gathered. 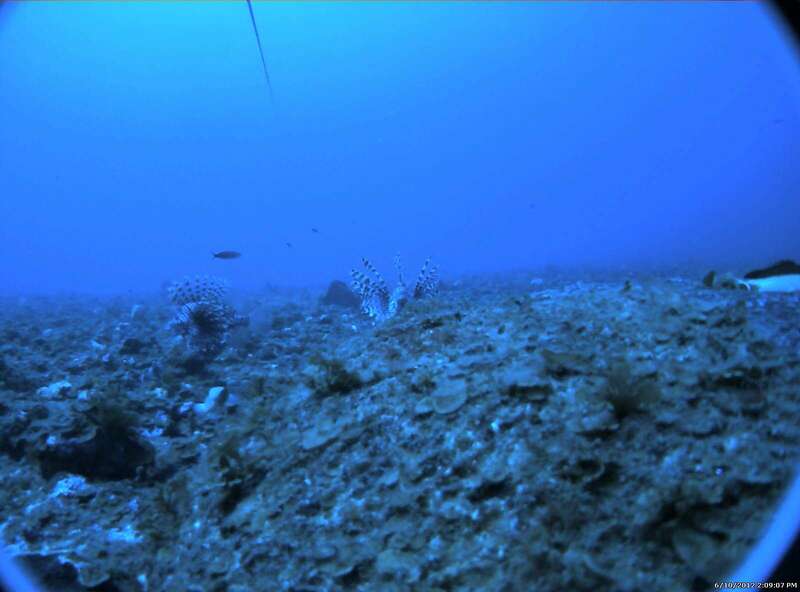 Atlantic Herring Hydroacoustic Survey combines a variety of advanced technologies including multi-frequency echo integration, omni-directional sonar, and underwater video to assess hearing populations. The stability of herring populations is central to the sustainability of many commercial fisheries as well as the ecosystem as a whole. 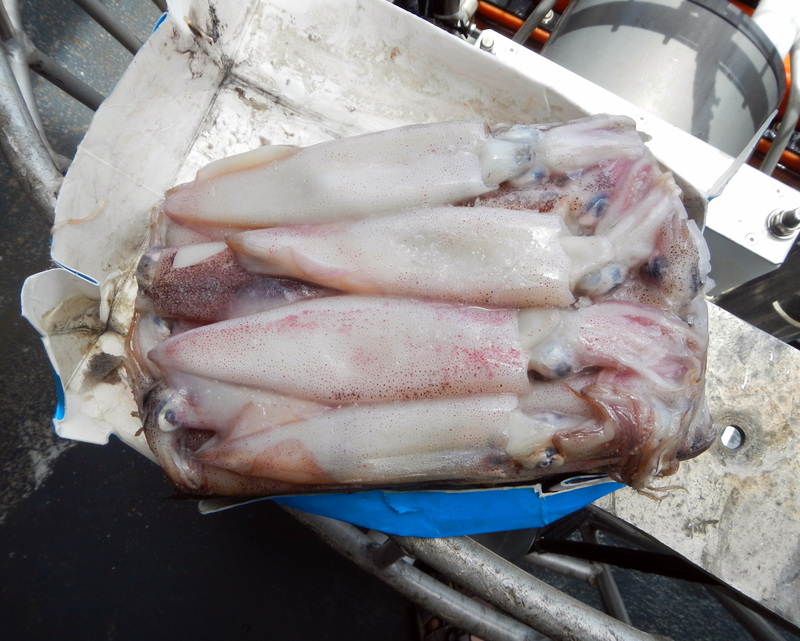 Ocean Quahog and Surf Clam Survey conducts dredges through the silty and/or sandy portions of the ocean floor where these filter feeding bivalves dwell. Such dredges enable researchers to calculate relative abundances and thus derive sustainability yields. Since both the ocean quahog and surf clam are edible bivalves, they are of commercial value and contribute to the economic stability of the Atlantic fisheries. The surf clam is especially coveted in the restaurant and other food industries for making clam strips and chowders. The ocean quahog has a stronger flavor and is used in recipes where the clam is used in conjunction with other strong flavored ingredients like pasta dishes. (who knew you would get a cooking lesson here) Also of significance is the reproductive biology of the quahog: This bivalve is extremely slow growing and long lived, it does not reach maturity for 20 years and will live up to 200 years. Those that are eaten are typically between 40-100 years old. Marine Mammal, Large Whale Biology aims to examine the relative abundance and distribution of the Atlantic’s large whales. A variety of data gathering methodology is used, ranging from visual and photographic recording to biopsy sampling for genetic studies. Studies which focus on the whales’ food abundance are also included in this survey. So who’s in charge of all this nautical navigation and science? As one can imagine there is allot going on aboard the DELAWARE II at any given time. Of course, numerous highly trained personnel insure that the engines work, that everyone gets three meals a day, that the toilets flush, that scientific protocols are being met, and that we are on course. But one individual is ultimately responsible for the coordination of these individual efforts. During my tenure aboard the DELAWARE II that role was fulfilled by the Commanding Officer (CDR) Richard Wingrove. 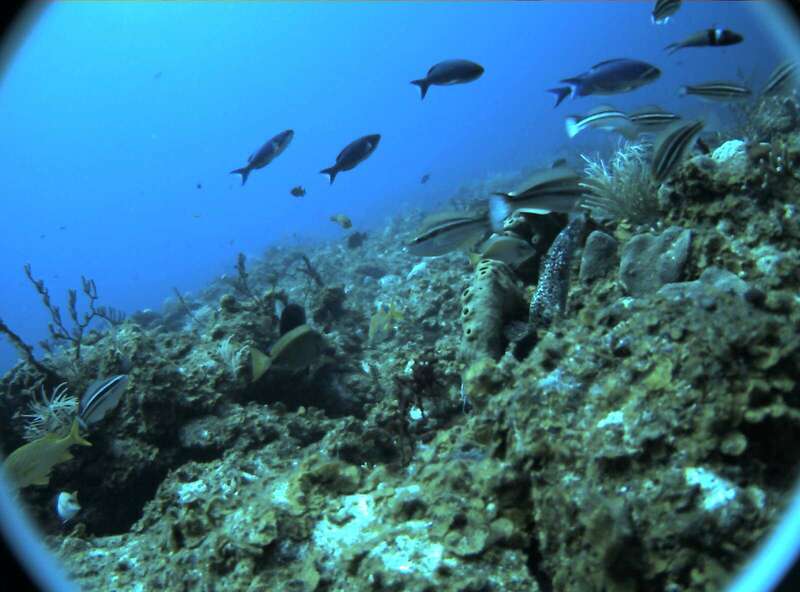 CDR Wingrove has spent a lifetime working in, and studying marine environments. After earning a degree in Marine Science from the University of Miami, the Commander joined the Peace Corp and was stationed on the Caribbean island of Antigua. As a fisheries officer for the Peace Corp, his job was to monitor fishing practices while helping fishermen develop and implement techniques that would improve their catches. 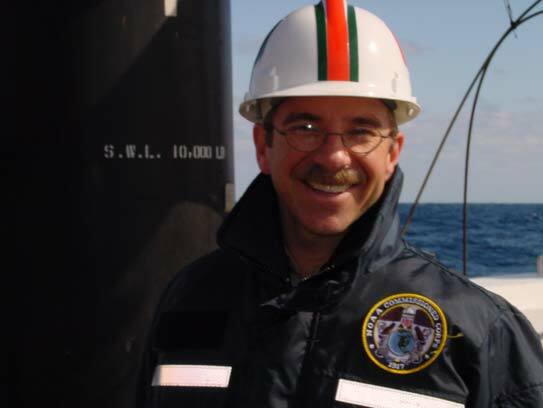 Following his service in the Peace Corp, CDR Wingrove went to work as a Satellite Oceanographer for the private sector; it was during this job that he happened to attend a conference and met a NOAA officer: Soon after, it was on to officer training school in Fort Eustis, Virginia where after 5 months of training, officers emerge with the foundational knowledge to navigate the seas and drive a ship. Following completion of officer training, CDR Wingrove was appointed to the NOAA Ship MILLER FREEMAN which is stationed in Alaska. 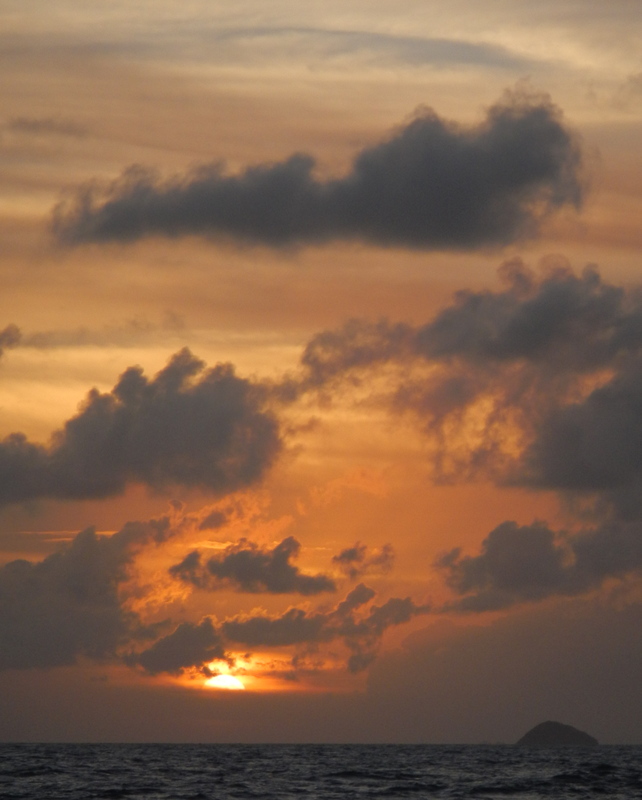 After enjoying the northern latitudes for two years, NOAA then sent him back to his home state of Florida where he worked in the Looe Key National Marine Sanctuary. Following two years in the sanctuary he returned to the Western Seaboard and set to work on the NOAA Ship JOHN N. COBB which is stationed out of Seattle. Again, after two years of surveying salmon, killer whales and other marine mammals CDR Wingrove was headed back to the Eastern Seaboard. This time he would spend three years based in Miami where his job was to oversee oil spill responses for South Carolina, the Gulf of Mexico, and the Caribbean. As he explained to me, working to clean up such an event is a rather delicate job since each of the involved entities including the company who spilt the oil, state agencies, federal agencies, and community leaders are each represented by their own biologists, ecologists, scientists, and researchers which then assess the spill, evaluate its impacts, and determine how the clean up should be executed. CDR Wingrove’s job was to take all the data and information presented to him by each of the involved parties, and then coordinate their findings in order to determine a course of action for clean-up, as well as monitor the clean-up process. 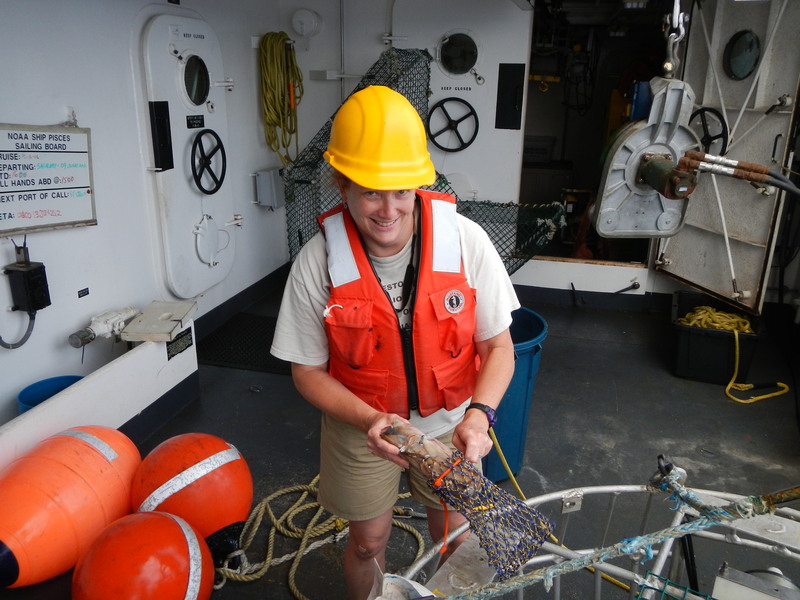 After three years of cleaning up other peoples’ messes CDR Wingrove was appointed as Executive Officer aboard the NOAA Ship DELAWARE II. He worked aboard the DELAWARE for two years before being sent to the Great Lakes area where he spent another three years coordinating the clean-up oil spills. Then once again he was headed back to the DELAWARE II this time as the ships Commanding Officer. 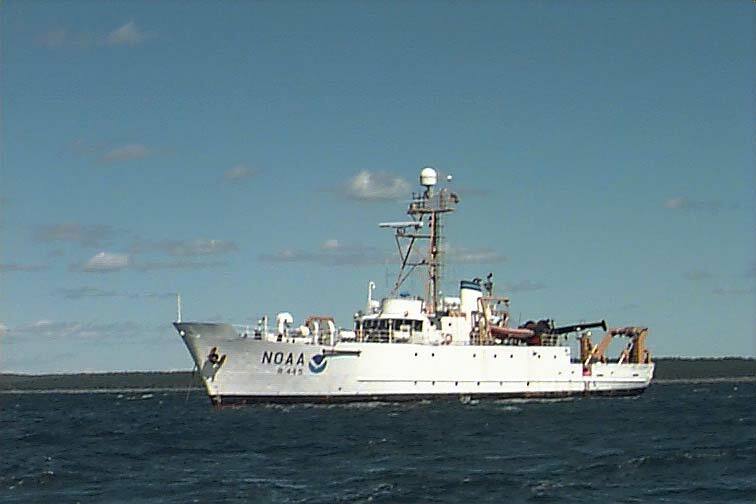 CDR Wingrove will finish his service aboard the DELAWARE II in May yet he does not know where NOAA will send him next. Regardless of the locale I have little doubt that CDR Wingrove will continue his legacy of service to the natural world and to all whom benefit from healthy seas.